Over the last few weeks I’ve been working on creating the Amazing American Artist lesson plans, which we’ll be using in our homeschool community in January. Each lesson plan is a combination of a artist biography and art project instructions. When I create an art lesson plan for a specific artist like this, I always start by reading several short biographies about the person. 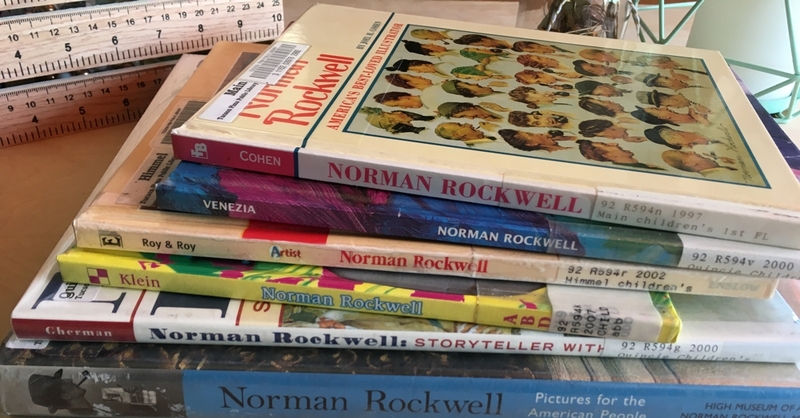 Usually the biographies are a mix of children’s books and websites- nothing too long or involved. Yet, they succeed in connecting me to the artist in a visceral way. Reading their biographies, I’m always caught off guard at how much I grow to feel like I know each of the artists. Surely at some point it will stop surprising me, but for now, I’m impressed at how much I end up caring about each of them on a personal level. For example, last year I grew very attached to Berthe Morisot reading about how she and her sister, Edma, grappled with the choice of career vs. family. From a young age, they both showed a lot of promise as artists, but Berthe chose career while Edma chose family. However, the choice wasn’t made just once, but daily, as they balanced the very different kinds of love each had for their family vs. their work. Berthe and Edma wrote each other constantly about these and many other topics. It reminds me of my own relationship with my sister and our many discussions about pursuing our God-given talents and passions while trying to put our families first. 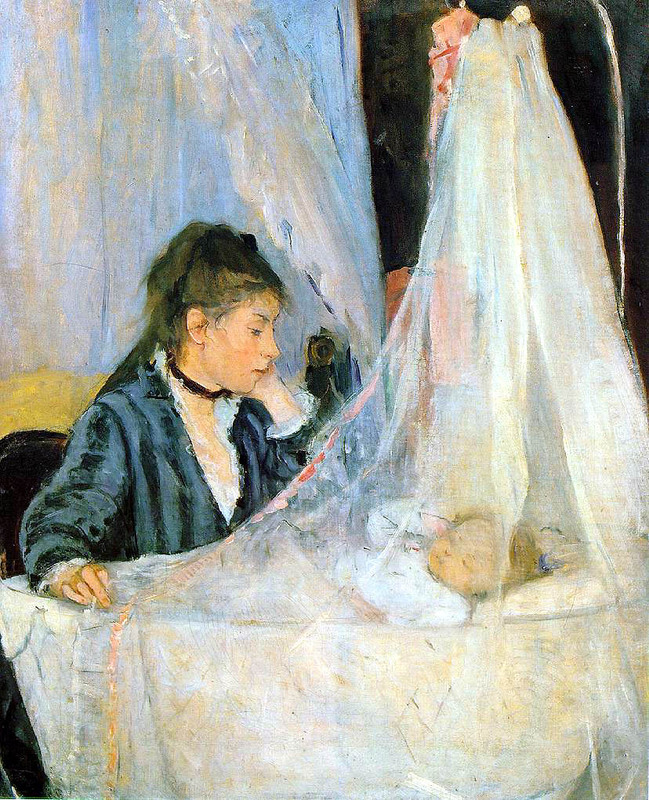 I now keep a small print of Morisot’s painting, The Cradle (shown here), near my desk to remind me that this struggle has been around for centuries. This year I’ve been learning about Warhol’s eccentric behavior, Rockwell’s insecurities, and O’Keeffe’s determination. Getting to know these people is another facet of history and integrates with so many other areas of life. For example, just this weekend I was listening to The Road Back to You: An Enneagram Journey to Self-Discovery‎ by Ian Morgan Cron and Suzanne Stabile and they mentioned which personality type Georgia O’Keeffe was. It immediately rang true to me based on what I’ve learned about her and helped me understand that personality type better. (If you are familiar with the enneagram and curious, she’s a 5). What Kind of Relationship is This Anyway? I know it’s a little weird, but I feel like I have some kind of one-sided relationship with these dead people. In some ways I know them better than I know some of my friends (which really makes me want to ask my friends a bunch of biographical type questions)! What do I call that kind of relationship? Is there a name for it? It’s a really great side perk of the many hours I invest in creating the lesson plans. In fact, it’s given me a wider interest in biographies of non-artists as well. I recently read one about Elizabeth Elliot (mostly because of all the great things my friend Alisa Taylor says about her). Before the Elliot biography, I read one about George Muller on the recommendation of another friend. If you’ve never had an interest in biographies, I encourage you to try reading one! If you already enjoy biographies, PLEASE recommend some to us in the comments here!! What biography have you read that made you really connect with the person? As I finish the lesson plans and upload them to my website, I’ll keep adding their links here. Stay Tuned!